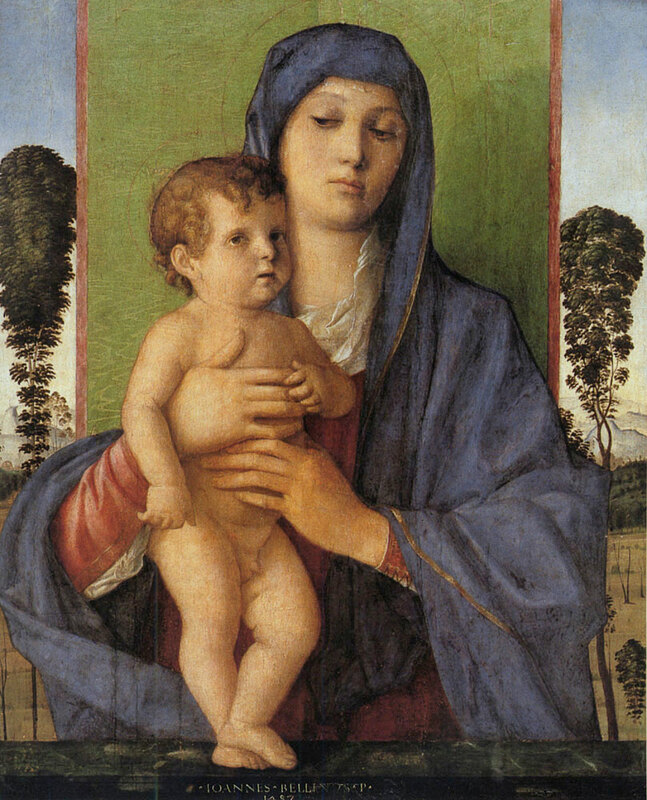 (c. 1430 – 1516) Giovanni Bellini carried the new form of art to its greatest height. He was greatly influenced by the tendencies which have been mentioned; of these the style of his father and of the Paduan school had the most effect upon him. 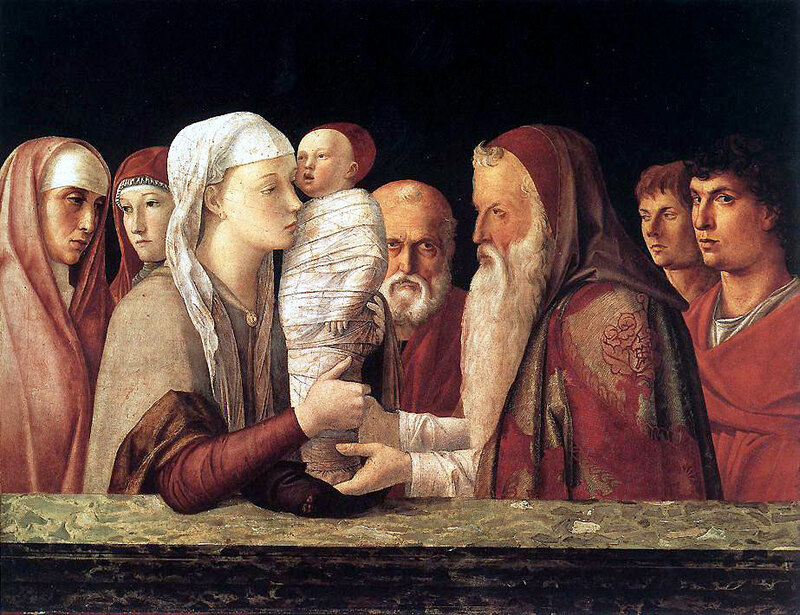 Mantegna was his brother-in-law. Another painter who strongly affected him was Antonello da Messina. 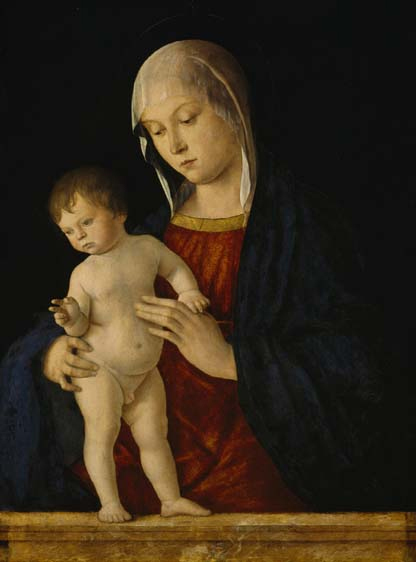 Messina was the first person in Italy to understand the Flemish method of painting in oil, and towards the end of his life he spent several years (1474-76) in Milan and Venice. The surroundings of Venetian life and the realistic direction which Venetian art had taken gave the Venetian painters a keep perception of the charm of colour, so that even the short time during which Messina was with them sufficed to lead them into a new path. 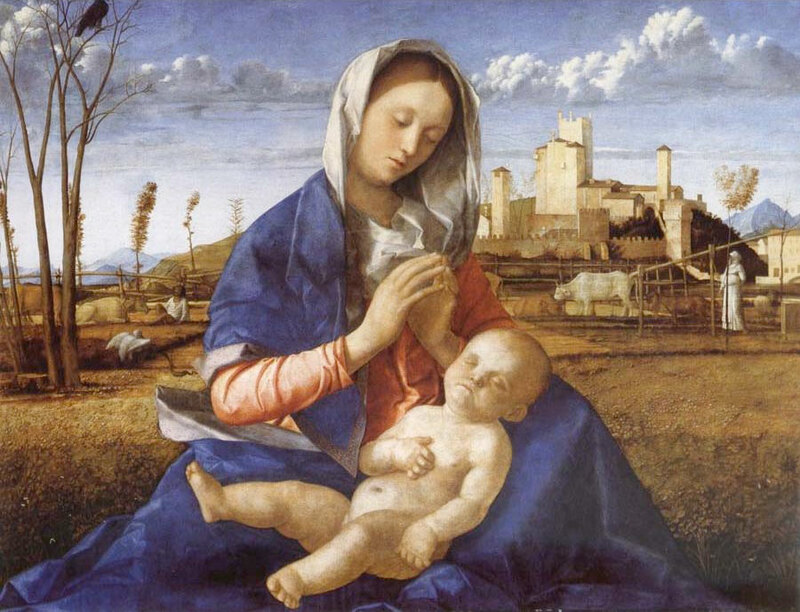 The genius of Giovanni Bellini enabled him to obtain the full benefit of the new stimulus; at the same time other painters, Bartolommeo and Luigi Vivarini, Gentile Bellini, and other men, also took up the new technic. The use of the new medium produced a softness of outline and an improvement in the modelling which tempered the hardness of the Paduan style and obtained beautiful effects in colour. 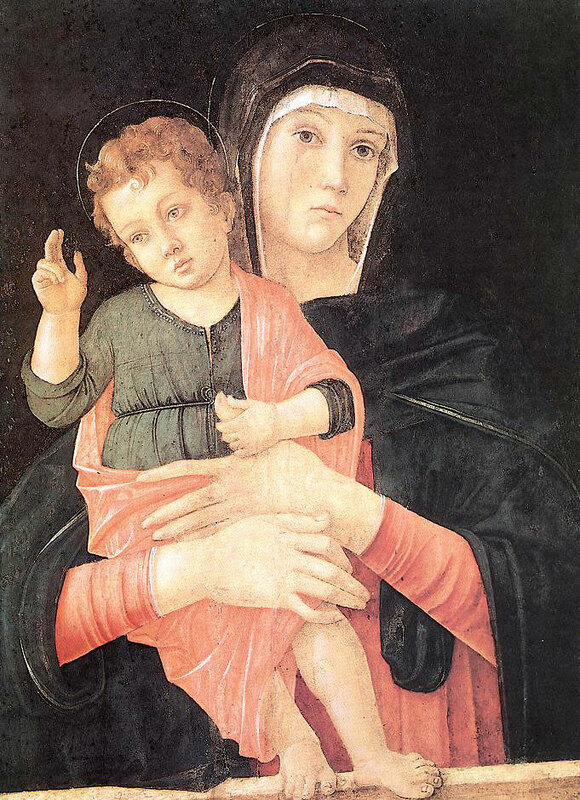 Giovanni had more feeling and a keener spiritual insight than his brother, and his style gradually developed until he attained a perfect harmony of drawing, perspective, drapery, light, and colour.